At least twice a year NEY distribute a hard copy of their newsletter. It contains all the latest products as well as information on forthcoming exhibitions. If you would like to receive a copy, please complete the form below. All information gathered is strictly private. 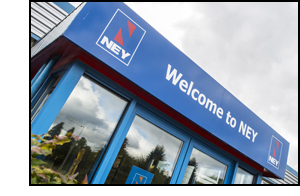 NEY Ltd guarantee NOT to pass on your details to any third party. Please read the statement below and tick the box provided to show your agreement and understanding on how NEY Ltd will protect your data. The information you provide in this form will be used for the purpose of sending you the ney newsletter. None of this information will be passed onto any third party. opt-in marketing - please tick this box if you agree for ney to send you other marketing materials such as emails and catalogues keeping you informed of the latest in woodworking technologies.